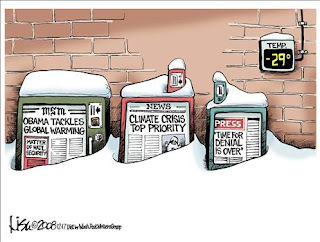 Since the Global Warming conference in Copenhagen a few weeks ago it has been more freezing than ever. Maybe someone wants to come across with a message…. Anyway..no one on my street are going to work today..or school. For me coming from Sweden it is a bit of a joke. In Sweden now there is a lot of snow and yesterday they had up -40c in some places, but still things works more or less the same. But now we live here by free choice…and I choose to just enjoy it. Life is determined alot by how we choose to react towards circumstances in our lives. It is possible to live this life believing that God is with us in every situation and He will never leave us. We read that last night in our “Billy Graham,daily devotion book”. That is a powerful truth and surely something to be excited and thankful about. On Friday we do leave for Sweden….I will preach for leaders all Saturday and preach in my good friend Patrik,s church on Sunday and Monday…than on Wednesday I leave for Zagreb where I will preach until Sunday. Busy time ahead ,yes and it is good to know that He is with us!! !